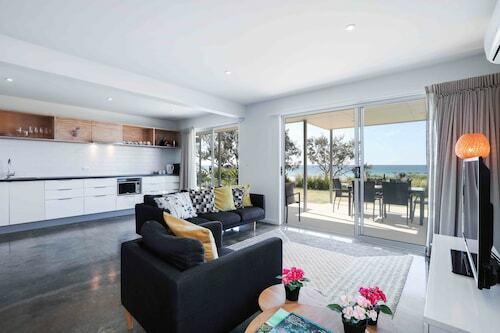 Located in Tugun, this beachfront apartment building is in the city center and within 1 mi (2 km) of Tugun Beach, Currumbin Wildlife Sanctuary, and Currumbin Beach. Kirra Beach is 2.3 mi (3.8 km) away. Situated in Tugun, this apartment building is within a 15-minute walk of Tugun Beach, Currumbin Wildlife Sanctuary, and Currumbin Beach. Kirra Beach is 2.6 mi (4.2 km) away. 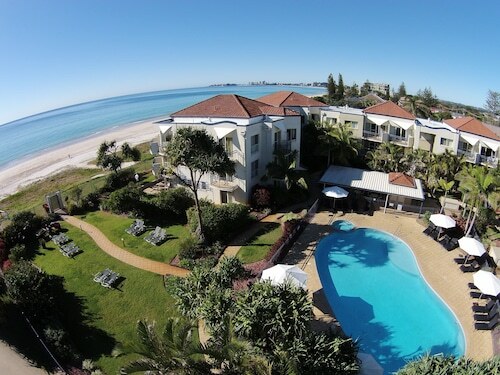 Located in Tugun, this beachfront apartment building is in a shopping district and within 2 mi (3 km) of Bilinga Beach, Currumbin Wildlife Sanctuary, and Kirra Beach. Coolangatta Beach and Currumbin Beach are also within 3 mi (5 km). 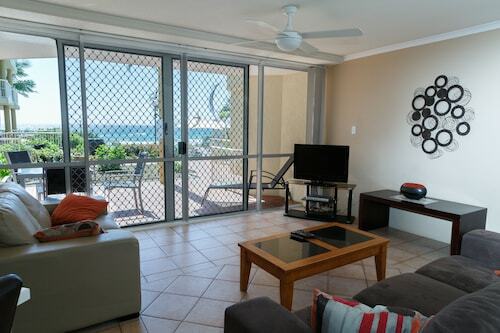 With direct access to the beach, this Tugun apartment building is within 2 mi (3 km) of Bilinga Beach, Currumbin Wildlife Sanctuary, and Kirra Beach. Coolangatta Beach and Currumbin Beach are also within 3 mi (5 km). Only five minutes from Coolangatta airport, Tugun is one of the cosiest destinations on the Gold Coast. Tucked away from mainstream traffic, discover splendid beaches and one of the most relaxing and laid back towns for your next holiday. Book a hotel in Tugun to enjoy the sun and surf away from the hustle and bustle of the Gold Coast and really escape on your next trip away. Before the sun gets too hot, start with a walk through Currumbin Oceanway. Taking you from Tugun to Palm Beach, it's one of the most spectacular coastal paths in the country. Take some great photos at Elephant Rock, and admire the breathtaking views across Currumbin Beach. 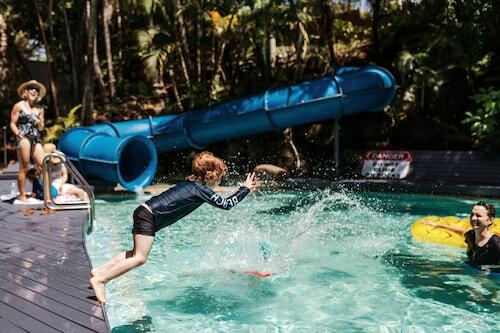 Watch surfers dance across the waves at Currumbin Alley, following the boardwalk through lush mangrove forests before popping out at Palm Beach. Be sure to soak in the lovely skyline. Once you've had enough of the beach, head to Kropp Park. Tucked away from the beach are hidden wetlands, with lots of birds and native wildlife for you to spot. If you're looking to get up close and personal with some Australian icons, the Currumbin Wildlife Sanctuary is just around the corner. Home to koalas, kangaroos, echidnas, crocodiles, wombats and almost a thousand lorikeets, it's a must see on every trip. The train ride is a great way for families with small kids to see the entire park. Adventure-seeking travellers shouldn't pass up the opportunity for a unique view of the Gold Coast. The airport offers tandem skydiving as well as joy flights for both pros and even the inexperienced. 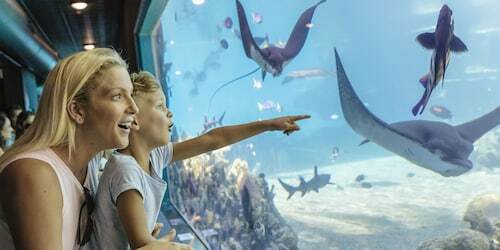 What could be better than a birds' eye view over Australia's biggest tourist destination, enjoy the fantastic waterways and coastline from the sky. An hour's drive south of Brisbane, Tugun is a perfect spot, bringing you face to face with the best of the Gold Coast without the crowds of the famous suburbs. Enjoy your summer on the beach with accommodation in Tugun, and come work on your tan. How Much is a Hotel Room in Tugun? 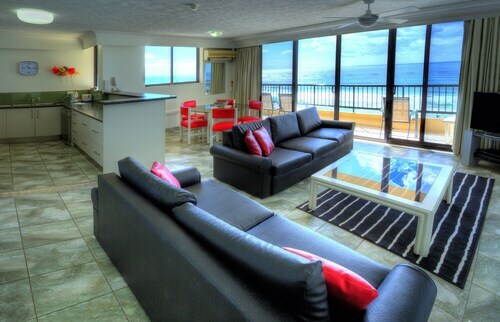 Hotels in Tugun start at AU$79 per night. Prices and availability subject to change. Additional terms may apply.